One of the pleasures of networking is hearing top tips from other businesses. 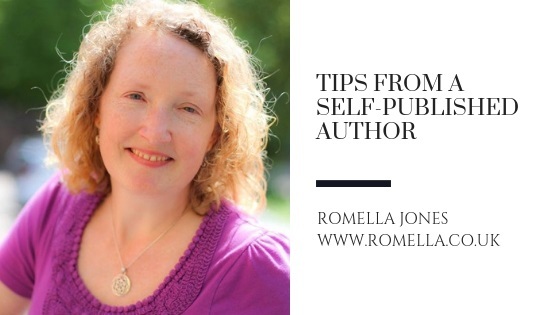 I recently had the pleasure of hearing Romella Jones talk on the subject of self-publishing. Romella has been practising as a holistic therapist for 10 years, her business is Create Family Calm which supports frazzled mums and their children. We heard that Romella loves writing and has written several books which started out as simple word documents that she circulated to friends. However, with her business head on, Romella knew that publishing books would establish her as an authority in a niche area. In the beginning, Romella worked with Sue Miller at Team Author UK where a dedicated team supports indie authors with editing, proofing, PR and design service – the costs are around £100 per book. Romella’s books were created on the Amazon CreateSpace platform which has now moved over to a number of different publishing sites. Kindle Direct Publishing, which provides free tools to help you self-publish, market and distribute your print and digital books; Amazon Media on Demand for ‘disc’ media such as your DVDs and audio CDs and Print on Demand for existing published authors who want to stay in print. On the publishing side, the whole process is very simple and works off a serious of templates, you choose the size and layout, the number of pages etc. and you will be guided through the process. You literally write your book in word and then copy and paste it into the template and you will automatically be issued with an ISBN number. You can choose how your front and back cover will look and upload your own pictures or use their free resources. And then the exciting bit, after proofing online, your book will be published within 24 hours! Books are printed on demand, so neither Amazon nor you have to hold stocks and there is no upfront cost. Romella broke down the costs for us (based on CreateSpace 2017 so prices may now vary). On a book that retails at £7.99, Amazon takes £2 as a fee, £3 goes towards the printing and distribution leaving around £3 profit. As books are all printed on demand you can obviously buy some stock for yourself for selling at events. At the same time you can also create a Kindle version of any book and as there are no distribution costs, there is more profit in this format. If you write over 100 pages you can get your title on the spine which obviously looks more professional on a bookshelf. Choose your category carefully so that you can become a best seller in your niche category rather than competing in something broad like ‘self-help’ and pre-order some ahead of your launch to improve your rankings. Selling books on Amazon brings in a residual income – but you do need to promote the books in order to get people to buy them. So make the most of your website and social media platforms. lulu.com – a self-publishing platform with templates that allows you to Create, publish and sell your book, e-book, photo book or calendar for free. balboapress.co.uk – the self-publishing arm of Hay House Publishing that specialises in self-help books. smashwords.com – a site that syndicates your e-book to all e-readers across multiple retailer platforms!